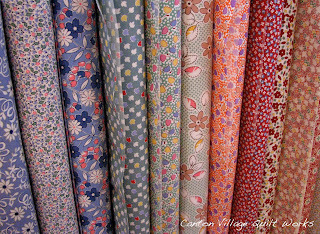 Canton Village Quilt Works | It's Official!! 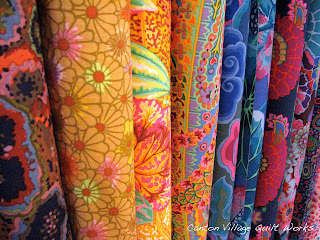 First I need to acknowledge all the wonderful ideas that you all had about what to do with my dyed selvages!! You are truly a creative group. Thank you so much!! I am not sure which I will choose, because they are all great. I will be sure to let you know. Beautiful Kaffes, Philip Jacobs, and Brandon Mably! Aunt Grace Authentics 1930s Reproductions! 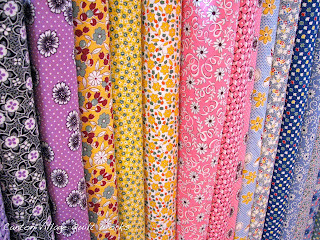 But that is not all, I also carry Kona Cotton Solids, pre-cut fabrics, and patterns from Izzy and Ivy Designs. I am so excited. All you need to do is when you are checking out use the coupon code: luvfabric to receive 10% off your ENTIRE order! WooHoo!! 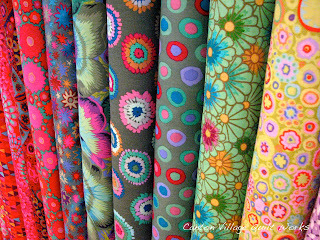 I hope you will enjoy these fabrics as much as I do. So go ahead and spread the word!! Click HERE to go directly to my shop. In other news, my November newsletter is now available here. And my newest Podcast Episode #7 is also available here.